One of the few things synonymous with Rakhi is a box of chocolates. It’s almost ritualistic to pick up a piece and pop it into your sibling’s mouth or maybe steal one from between their fingers. Now, we have long shifted from the candy like bars to the more delicate couverture chocolate pralines. 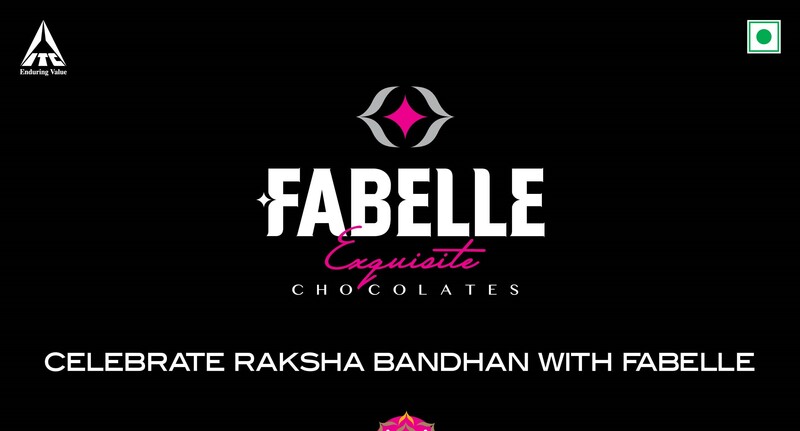 ITC’s exclusive chocolate boutique “FABELLE” has taken even that one step further. The delicate pralines now hold the spirit of your sibling. 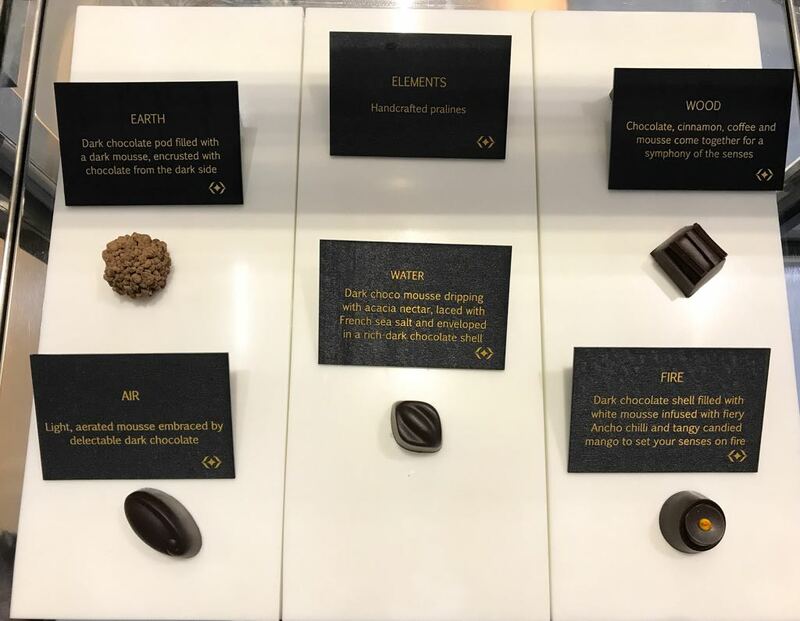 Inspired by the 5 elements: Fire, Earth, Water, Wood and Air, you can now customise a box of chocolates that is as fiery as your sister or as free flowing as your brother. I chose the element “water” for my cool headed sibling. He tends to be salty and intense at the most inopportune moments but is one of the biggest calming influences of my life. So a praline with dark chocolate mousse filled with the Acacia nectar, sprinkled with just a hint of Sri lankan sea salt gave me the perfect sweet treat for him. Picking one out for the more passionate and fiery one was easier with the “fire” praline. The dark chocolate shell is filled with a white chocolate mousse laced with ancho chilli and tangy candied mango. The best part about the entire thing is that you can pick out your box all from home and if you wish even create a website in your sibling’s name. Keeping no stones unturned in ensuring that this moment is truly memorable; Fabelle has created a special website www.rakhiwithfabelle.com for placing orders and creating the customised website orders. But in order to do so you need to log on before or on the 3rd of August, 2017. They are taking orders to be delivered between 4th to 8th August, 2017. Punjabi food, like its culture, is very hard to ignore especially in Amritsar, the golden heart of the land of butter and celebration. 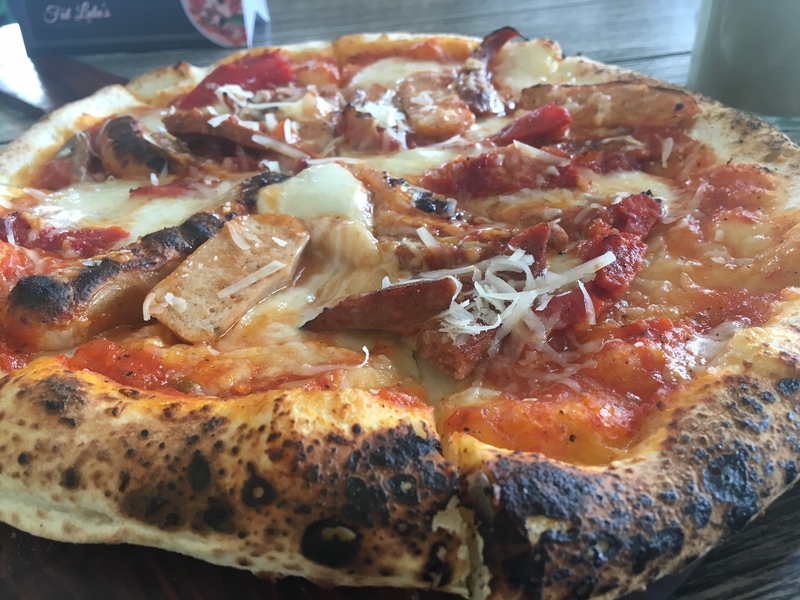 The flavours are just like its people, loud and in your face but in a very good way. We went on a food adventure spanning over three days in the land of the gurus and stuffed our faces with the most beautiful, delicious and rich dishes we could find on the streets of Amritsar. Read about day 1 here and day 2 here. Breakfast is the most important meal of the day. It is something we have all been taught. And so we took it literally with some authentic Amritsari kulchas. We started with Kulwant Kulcha. The place is ideal for those who like their kulcha really flaky, crisp and lightly spiced. Then there is All India Famous Kulcha Wala, which has been in business since 1989. The shop is owned by Sucha Singh ji and is managed by his son Ponty Singh. The kulcha dough is rolled into seven layers and then stuffed with aloo and paneer filling and half cooked. When someone places the order, the cook handling the tandoor applies water on one side and sticks it in the tandoor. Like Kulwant’s this kulcha was flaky, crisp and subtly spiced. They also have another outlet called Kulchaland which has a more restaurant-like setup. But for me, Ashok Kulche Wala rules the Amritsari Kulcha chart with perfect spicing putting its offerings a cut above the rest (I’ve already described it in some detail here). One can walk in to his open kitchen and see the steps involved in making a perfect kulcha. This is what I liked best about Amritsar. The people here are open hearted and there are no secrets—one can easily walk in to any restaurant’s kitchen. Amritsaris love feeding people and the owners themselves are involved in cooking. The people here are open hearted and there are no secrets—one can easily walk in to any restaurant’s kitchen. Next up was Surjit Food Plaza at Nehru Shopping Complex, Lawrence Road. An interesting thing about Amritsar’s food joints is that though some look quite modern and fancy, the food they serve is authentic and traditional. From the outside, Surjit looks like the kind of place I can’t usually afford, but the food has not lost its Amritsari soul. I asked for tawa chicken pulao, which I could see being prepped from behind a big glass wall by none other than the owner, Amarjit Singh. He mixed ghee as well as butter into the chicken and then added boiled rice into the mixture. The tawa chicken pulao is garnished with ginger and coriander. The flavourful rice balances the soft pieces of chicken.They have served their food to who’s who of India. They even have a picture album which one can ask for to see the pictures of celebrities dining at the restaurant. But what caught my attention was the modest beginnings of the restaurant. Starting from a small khopcha, it is full-fledged restaurant today with modern facilities. A foodie friend, Girish, sends me screenshots of food joints on WhatsApp all the time, often giving me valuable leads. While I was in Amritsar, he sent a screenshot of Giani Tea Stall, established in 1955. The place is famous for its breakfast dishes, especially kachoris, but since I couldn’t make it in time for a morning meal I had to satisfy myself with an omelette and special spiced tea. The tea maker, Ajay, who hails from Pathankot has been working at Giani’s for 15 years. I tried the spiced tea with saffron, cardamom and almonds (₹35 per cup). Next time, when I visit I will make it a point to start my day with his kachoris. On the recommendation of another recommendation, we went to Pal Dhaba near Hathi Gate for lunch. We tried magaz, kharode and mutton tikka. The dishes were similar to what we had at Prakash (see here) but super delicious. The kharode, in particular, amazed me. Unlike the soupy Delhi variety, it was thick and unctuous. The pieces of goat feet are boiled in water and then added to a stock-based gravy later. It’s delicious with tandoori rotis. On the table next to us, a group of people from Delhi were having mutton tikka with buttery white sesame naan. I couldn’t resist ordering the same dish. The mutton tikka is again cooked in spices and served in thick gravy. The naan is so delicious that it can be savoured alone without any sauce or curry. This was exactly what we were exactly waiting for—a high note with which to end our amazing food journey. Needless to say we’ll be going back for more. I have always been told that you cannot buy happiness and well, being the foodie I am, I always tell them that I can buy Ice Cream and that is pretty much the same thing. There is no other comfort food like ice cream, especially when it comes to Baskin Robbins and their penchant for trying out the wackiest flavours, that somehow always work. As one of the Happyness Ambassadors this month, Baskin Robbins presented us with their five experiments for the month and asked us to pick a favourite. Now, a foodie is a foodie because of our indecisiveness when it comes to picking a favourite. But the weather, I believe gave us an inspiration and we decided on the flavour that could complement this “surprise it’s hot, surprise it’s rain” monsoon. I will give you a hint. The flavour evokes the memory of sitting on the “charpai” (a traditional woven bed) and eating freshly plucked fruit with a spicy condiment. Baskin and Robbins has made the traditional after school fruit snack of Guava and Red Chilli Powder into an ice cream ! Surprised? So were we. But after such a long time we found an ice cream that was not just a mix of sugar and fruity elements. This ice cream is perfect for people who believe that ice cream can be more than just a sweet treat. In fact you can actually find hints of the smoky chilli flavour in the aftertaste mixed with the ice creamy consistency of the guava flavour. 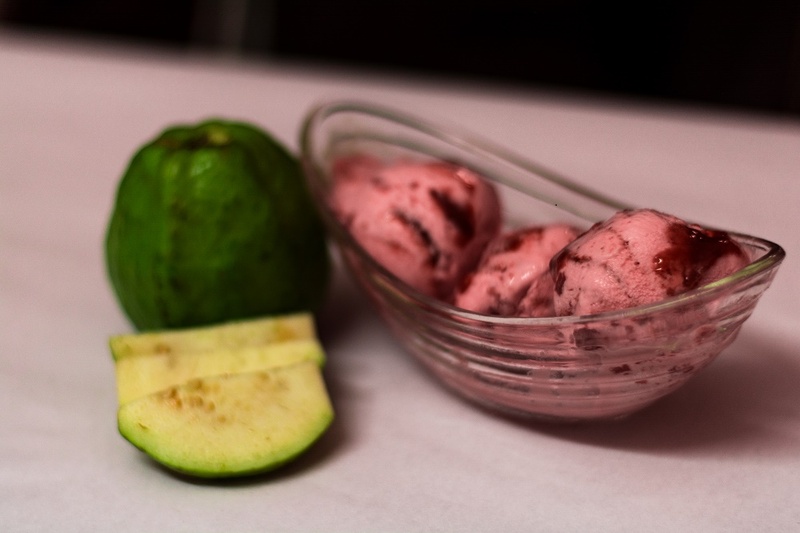 The reason we love B&K ice creams is because they are unafraid to test the limits of our palate and I do believe that our favourite “Spicy Guava” is the perfect example of how they deliver on the taste every time even when your head is mumbling something on the lines of ‘ mad geniuses’. Breakfast meant sampling wares from two Amritsar mainstays, starting with Kanhaiya Lal on Lawrence Road, where we sampled a fried poori made of maida and atta (in a 70:30 proportion) stuffed with a little dal pitthi. The poori is served with sweet and tangy aloo lounji, chane ki sabzi, another savoury aloo sabzi and carrot pickles. I also tried another interesting dish called satpura—a puffed pastry (with seven layers) filled with dal ki pitthi, and served with lounji and chane. Incidentally, a similar dish called the Japani samosa is available in Old Delhi’s Manohar Dhaba. The difference is that this “samosa” is filled with mashed potatoes and served with chane and lauki achaar. Amritsar changed my conception of the ‘nutri kulcha’ and showed me what the Delhi version was missing. We then moved on to Kanha Sweets that serves pooris that are quite similar to Kanhaiya Lal’s—the only thing missing is the savoury aloo sabzi. Kanha Sweets also sell aam pickle, stuffed matthi and besan matthi (this last is a boon for those with a gluten allergy). Among the most enticing of all the places I visited was Lubhaya Ram, famous for aam papad. They have two outlets—the first one is a proper shop with jars and packed boxes of aam papad and the other one is a cart, right next to the DAV girls’ college. The uniqueness of the chicken at Beera is in the softness rather than the crispiness that’s sought after elsewhere in north India. I found Ashok’s to be the best kulcha in terms of authenticity and taste. At All India Famous Kulcha, the pre-made mixture is simply stuffed in the dough and cooked in the tandoor. While all India and Kulwant served crisper kulchas, Ashok’s spices elevated the dish. Ashok has been in business for 36 years. The shop is open from 9 am to 2:30 pm. Being a Delhiite, I have tasted cuisines from all over India in this multicultural city. Thus, I’d already sampled a “nutri kulcha” at Shalimar Bagh in Delhi when I decided to see how Amritsar’s version compared. Amritsar changed my conception of the dish and showed me what the Delhi version was missing. In Delhi, it was a normal kulcha with butter and soya granules mixed with spices. Here in Amritsar, the nutri was tawa-fried with capsicum and onions in spinach gravy. A fried piece of paneer was crushed over the nutri and the entire concoction was served with butter. It tasted heavenly. I had nutri also with bhaturas, a unique and delish combination. Having tried the famed chaat in Varanasi, Lucknow and Delhi, I was not that excited to try the chaat in Amritsar. However, Brijwasi is everyone’s favourite go-to go chaat place. The family that migrated from Mathura still serves chaat and other dishes without onion and garlic. They have an interesting desi-style hot dog—the footlong bun is fried in vanaspati and then smeared with methi chutney or saunth on one side and green chutney on the other. A single piece of crushed tikki makes the filling. Interestingly at Brijwasi, they don’t add sweet or green chutney on the papri or bhalle unless expressly asked to do so. Since I was there on the day of Baisakhi, the harvest festival of Punjab, even the long queues at the gates of the Golden Temple couldn’t deter me from seeking the blessings for an auspicious year. Another big draw is the langar, an important part of Sikh tradition, where anyone can walk in and eat the simple and soulful food. It is a community kitchen where the followers sit in a row and are fed by volunteers who come in to do “seva”. As you enter, on the left hand side is the roti-making machine which they say makes 6000-9000 rotis in an hour. Men and women put ghee over the rotis to keep them soft. On the right hand side is the dishwashing unit—volunteers washing the soiled plates and spoons. At the rear is the main cooking area, where the food is cooked. I have never seen such a big cauldron in my life. There is no chef—the food is cooked by volunteers and sewadars. And what comes out is delicious dal that one can taste nowhere else. On special occasions, kheer and halwa is made for the followers. This institution is responsible for feeding hundred of homeless people in the city. The uniqueness of the chicken is in the softness rather than the crispiness that’s sought after elsewhere in north India. It tasted heavenly. The other recommended dish at Beera is keema naan. Minced mutton is stuffed in the dough and cooked inside the tandoor. Loads of delicious butter is spread over it. While I am usually a little more careful about my butter consumption, in Punjab you gotta do as the Punjabis do. The naan is served with chutney, onions and a mutton curry that is so delicious that I slurped it straight from the bowl. While you have been scrolling through your instagram feed this monsoon, I am sure the photos of Pakoda, samosa, bun maska and chai have been popping up as the rains envelope India. It does make, one yearn for some spicy and warm food. My own all time favourite monsoon snack has been roasted corn or bhutta with lemon and masala. With snacks, a cup of regular local milk chai or cutting chai with different spice flavours- elaichi, cinnamon or a simple masala chai makes the small difference between a chai on a regular day and the one on a rainy day. The street side tea served in a traditional glass or kulhad with steam coming out of it is the only thing that has been able to encompass the wet and cozy feeling you yearn for . The monsoon menu at Mister Chai, the tea restaurant at Shangrila’s Eros hotel is trying to take this feeling from the street side and serve it to you while you look out at the damp roads from your own luxurious cocoon.The menu is beautifully curated by Chef Neeraj Tyagi keeping intact the local flavours but like always with a twist. Our monsoon journey began with a cutting chai served in a traditional chai ki tapri. The rusks in a small tin accompanied the tea. The idea of dipping the rusks into the tea to soak the flavours is a classic street thing across India. Next, I tried the spicy keema and potato pakodas served with sweet and tangy chutney. The usual bread pakoda is stuffed with mashed potatoes and keema. The assorted pakoda platter served on a toy cart had aloo, paneer, palak and mirchi pakodas. The best part of it all was that it was not oily. The chef revealed that the pakodas are fried twice so that it doesn’t absorb much oil. The highlight of the monsoon menu was the Kulcha. The traditional amristari aloo kulchas , served on a wooden taco stand were filled with pulled jackfruit and goat’s cheese. I am sure it will taste delicious with pulled pork as well. The texture of jackfruit added a meaty texture and compliments with the softness of aloo kulchas. Really loved the combination! Some of the other dishes on the monsoon menu are bhutta(steamed and char grilled served with Cajun spice, herb butter and lime ) Akuri Toast (Parsi scrambled egg), and the popular delhi’s special street food – Ram ladoo. The monsoon menu is available every day at Mister Chai from 11 am to 9 pm till 31st August. Punjabi food, like its culture, is very hard to ignore especially in Amritsar, the golden heart of the land of butter and celebration. The flavours are just like its people, loud and in your face but in a very good way. We went on a food adventure spanning over three days in the land of the gurus and stuffed our faces with the most beautiful, delicious and rich dishes we could find on the streets of Amritsar. Last time when I visited Amritsar, I made it a point to make Kesar da dhaba my first food stop. Let me tell you, I have been exploring street food since my school days—so much so that I made a profession out of it—but the excitement entering this old gem that was established in 1916 gave me an adrenaline rush like no other joint ever has. The one thing I learnt is that even though many food joints will look modern from the outside but the cuisine is still Amritsari at heart. As you enter, the table and benches are lined up; there is another sitting area opposite the road where air coolers offer some respite from the heat. The dhaba has seen the ownership of four generations of the same family and a huge kitchen has developed over time with a separate section for frying and boiling of the kali dal, the one thing that made the legacy of this place what it is today. The original brass degh used by the first owners is still in use to boil the kali dal. The dal is boiled for 12 hours intermittently and stirred by the cook to check the consistency. Once the dal is boiled, it is passed on to next section where it is given tadka in ghee with onion and spices. I ordered the parantha thali (₹245 ) which comes with two ghee-laden lachcha paranthas, kali dal with ghee floating over it, chole and raita with big pieces of boondi, onion and pickles. It’s not a dish that I would recommend to the faint hearted—like everything else in Amritsar. You should bring an appetite to rival the years of culinary habits that developed to feed the warriors of India. Next, we stopped at Giani Punjabi Lassi. A lassi shop that has been in existence since 1927, it has pictures of film actors and the wrestler Khali devouring the big steel glass of lassi. Dhurandar Singh, the owner of the shop claimed that Khali had six glasses of his makhan-topped lassi. Being a lassi fan, I have tasted lassi across different places in India from Varanasi to Mathura (lassi connoisseuring is the next big thing after wine). The one we tried at Giani’s was a unique peda lassi. Four-six pedas are crushed in a brass container that has been in use since 1927. It is then with the help of a wooden blender churned to separate butter from the peda and the leftover water is used to make lassi with fresh yoghurt. Once the lassi is made, the butter is added back to the lassi. It was a different experience, and perfectly. symbolic of the land of butter and ghee. A glass of lassi is yours for ₹75 and the shop is opposite Regency Cinema. My food guide, Gur Iqbal, a final year student of Khalsa College took us to the telephone exchange where street food carts are lined up selling tawa dishes. We stopped at Bau Paneer Bhurji Shop (also known as Tara Chand Paneer Bhurji). The place has only two dishes on the menu—paneer bhurji and sandwich. Paneer bhurji is a scrambled paneer fried in butter with spices. Firstly, 70-80 gm of butter is added in a pan; into this go chopped onions, tomato, ginger. Now, the secret thick red paste, a mix of chick pea flour, red chillies and garlic is mixed and finally a big slice of paneer is crushed into the mixture. What comes out is a delicious, buttery paneer bhurji to be devoured with a slice of white bread and chutney. Another dish, a revelation of sorts, was the sandwich. It comprises a slice of bread deep-fried in Amul yellow butter. Over this, channe is spread and with it slices of paneer, onions, tomato which is then fried in butter. It was again as if eating just butter. It was also served with green coriander chutney. I met this one person who claimed to have been eating the same bhurji for the last 25 years and no the flavours had never changed. Day 1 of our journey ended in the land of butter and celebration, making us ache not with heartburn but a taste for more. Finally we reached at King Kulfa cart owned by Prakash at Katra Jaimal Singh. Kulfa can best be described as a layered dessert. 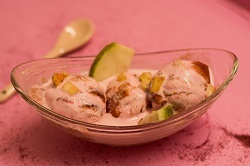 It has phirni-rabri kulfi-gond qateera (gond qateera itself has no taste, but is popular among Amritsaris in summer because of its cooling properties) faluda and is topped with rabri, sugar syrup and kewra. It’s sweet no doubt about it but it is one of those things that you cannot miss on a food pilgrimage in the land of milk and makkhan. Walking down further we reached Katra Ahluwalia, also famously known as Jalebi-wala chowk, because of Guru Ram Das Jalebi. The shop is famous for hot and crisp syrupy jalebis and soft gulab jamuns. What makes it special is the small pieces of jalebi fried in ghee and dipped in sugar syrup. As the evening progressed, it was time to sate the carnivore in me. We reached the legendary Makhan Fish Shop, which started life as a roadside cart in 1962 but is now a full-fledged air-conditioned restaurant with a beer bar next to it. We ordered a plate of fried fish—a simple but truly delectable dish which was first coated in a batter made of chickpea flour with Ajwain and deep fried in mustard oil. The one thing I learnt is that even though many food joints will look modern from the outside but the cuisine is still Amritsari at heart. I also tried mutton tikka with bo wale kulcha (bo in Punjabi means smelly). But don’t worry, it’s not really smelly. Kiran who runs an Instagram micro blog by the name “wakhrapunjab” informed me that it was the taste of yeast in it that gave it its name. It really went well with succulent pieces of mutton. I got to know from the rickshaw puller about another Makhan Fish Shop on Lawrence Road. I went there as well the same evening so that the taste could be compared. The shop started a couple of years back after the current owner returned from abroad. The fish was double fried with a thick batter of chickpeas. At the other shop in Majitha Road, it was lightly flavoured and smelt-in-the-mouth soft. I was not that impressed with the Lawrence Road shop. It might be because he saw us clicking pictures that he over-fried it. Next time, I will make it a point to visit without the camera. And that is how Day 1 of our journey ended in the land of butter and celebration, making us ache not with heartburn but a taste for more.